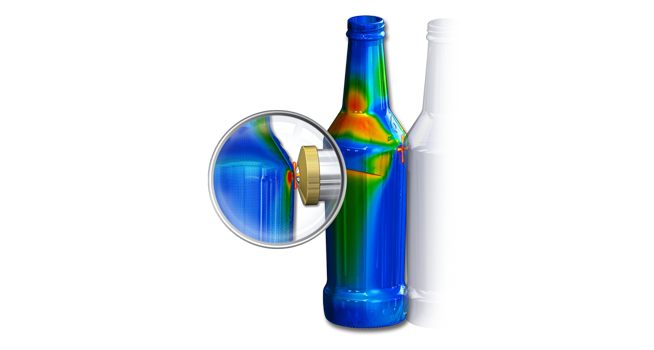 Their response was, “Ideally we suggest conducting our FEA analysis on the design before moulds are made, especially if the bottle was redesigned or light weighted. We believe it is equally important to also conduct performance testing of the bottles in our labs, with the unique capability to interpret the testing results in relation to the expected conditions on the filling line. For more information about American Glass Research: www.americanglassresearch.com. For any questions related to bottle design, testing or line auditing with impact measurements to ensure smooth operation and prevent breakage, don’t hesitate to go to AGR’s website and “Ask Our Experts“.